With Democratic Socialism becoming the new fad for Democrats, it’s gratifying to see Trump’s White House getting out ahead of it. 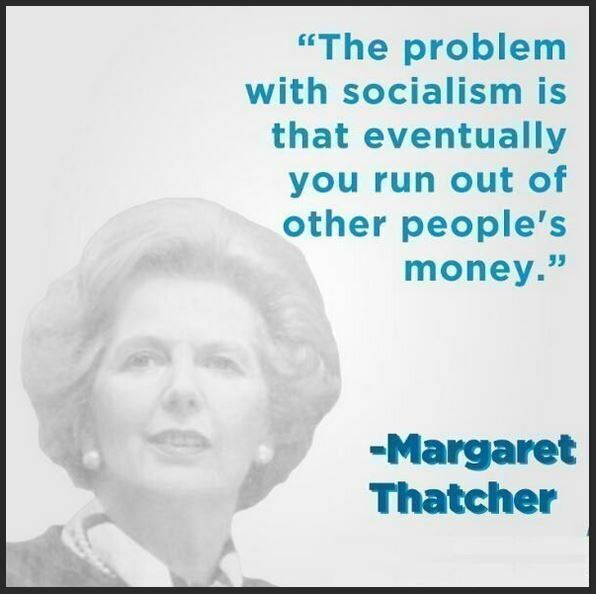 Recently, the Council of Economic Advisers released a 72-page report entitled “The Opportunity Costs of Socialism” that lays out a very powerful case against all of the leading Democratic schemes that will most likely to be the heart of the Democrats’ 2020 platform. Coincident with the 200th anniversary of Karl Marx’s birth, socialism is making a comeback in American political discourse. Detailed policy proposals from self-declared socialists are gaining support in Congress and among much of the electorate. . . Although they are sometimes cited as more relevant socialist success stories, the experiences of the Nordic countries also support the conclusion that socialism reduces living standards. In many respects, the Nordic countries’ policies now differ significantly from what economists have in mind when they think of socialism. For instance, they do not provide healthcare for“free”; Nordic healthcare financing includes substantial cost sharing. Marginal labor income tax rates in the Nordic countries today are only somewhat higher than in the United States, and Nordic taxation overall is surprisingly less progressive than U.S. taxes. The Nordic countries also tax capital income less and regulate product markets less than the United States does. However, the Nordic countries do regulate and tax labor markets somewhat more; thus, American families earning the average wage would be taxed $2,000 to $5,000 more per year net of transfers if the United States had current Nordic policies. Living standards in the Nordic countries are at least 15 percent lower than in the United States. It may well be that American socialists are envisioning moving our policies to align with those of the Nordic countries in the 1970s, when their policies were more in line with economists’traditional definition of socialism. We estimate that if the United States were to adopt these policies, its real GDP would decline by at least 19 percent in the long run, or about $11,000 per year for the average person. This comprehensive report is devastating and copiously sourced. Be sure to file it away for future reference. My bet is it will come in handy down the road. This entry was posted in Educational, Fatherly Advice, Make America Great Again, NoBama, Rants and tagged Advice, Education, Government, MAGA, NoBama, Politics, Progressive, Rants. Bookmark the permalink. I doubt any Danes would agree with the conclusion of this report.. We are doing pretty well here in Denmark.. certainly better than most Americans..